Now, many people know what they like when it comes to a pint. Malty, creamy, even yeasty. 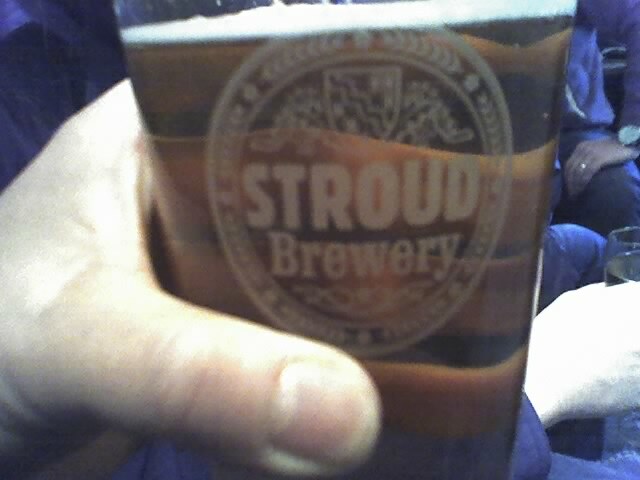 But how do you know if you have a perfect specimen in your hand down the pub? Well, Kentucky has the best advice. The simple test is to hold the beer up before your eyes and see if your fingers through the glass are as clear as if you were holding up spring water. If so, then you have a clear pint which you can sample, savour and appreciate. If not, as will be the case 8 times out of ten, at least you should acknowledge that the pint you are drinking is not in perfect condition, and at most you should return it to the bar with a request for a different beer. Guinness is your safest bet. To really know whether you like the beer you need to know if it has been well kept. This is you all you need to know on earth. And Kentucky would love to try a clear pint of Budding Beer, but until now he’s never seen one!